- Weight: up to 20 M.T. 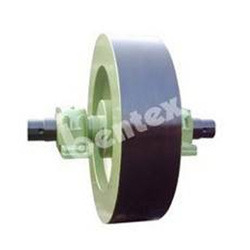 High speed flywheel: Material: cast iron / steel complete with shaft. spherical roller bearings and pedestals. weight: cast. iron -3 to 12 M.T. and steel 2 to 6 M.T. A flywheel is a rotating mechanical device that is used to store rotational energy. Being a leader in the industry, we are engaged in offering a qualitative range of Head Diamond Cutting Flywheel. - Available heavy weight flywheels. - Material constructed will be of cast iron\steel cast\steel fabricated. - Available in huge outer diameters. We are affianced in dealing a wide range of Fly Wheel to our valuable clients. These products are extensively demanded in domestic and international market for their superb features. We offer these products which are widely appreciated for its high durability and long service life. These find their wide application in various automobile industries. We offer a very comprehensive range of marine collier, which is a device to ship coal from one destination to another. Made from premium metals the colliers are developed following great machining designs, that ensures long and reliable service life and hardwearing features. The products are offered at competitive prices. We offer customization options to meet client specifications. - Output Speed 34.06 rpm (Top roll). - 59.60 rpm (Bottom roll). Flywheel acts as a reservoir(stores energy) and acts as a source of power when instantaneous energy is required during the rolling operation. Tata TC 1613 flywheel assemblies are manufactured using premium grade material and are known for their durability and precision finish. We also meet customized requirement. 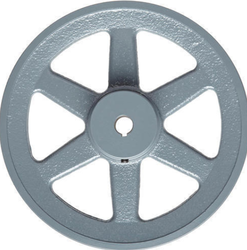 We manufacture high quality range of flywheel assembly in many variations. These flywheel assemblies are manufactured using premium grade material and are known for their durability and precision finish.